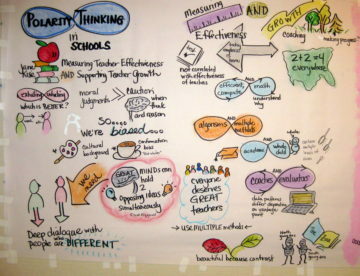 Tackling today’s complex problems requires using tools that go beyond “business as usual.” One such tool is live-time, large-scale visual note taking, or "graphic recording". 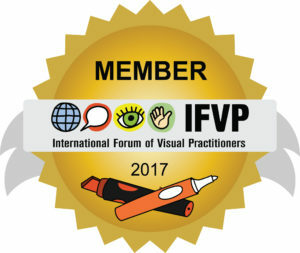 A graphic record helps everyone "picture" their and others' thinking, therefore helping to move a discussion, group or organization closer to an acceptable solution. 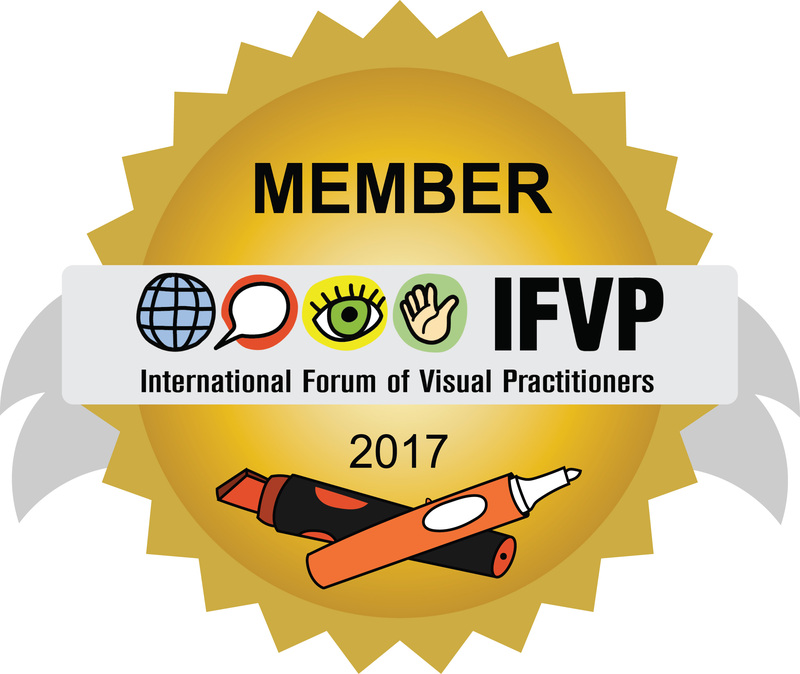 PICTURE your Thoughts graphically records conversations – at meetings, conferences, facilitated sessions, or other problem solving gatherings, letting people “see what they mean” as the conversation unfolds. Based in Toronto, PICTURE your Thoughts focuses on sectors that promote well being and a sustainable, healthy, just world. Afterwards, photos of the murals can be included into reports, or uploaded to websites. Originals can be posted in private offices or hung in common work areas, or even turned into banners. Getting started is easy! 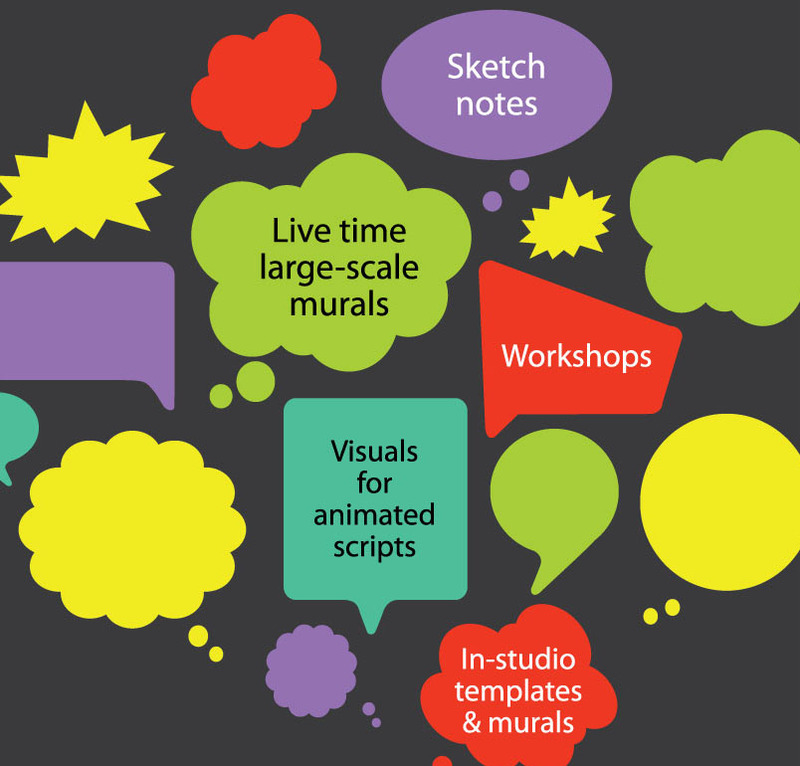 We offer a free half-hour, no-obligation telephone consultation to learn about your needs during which time we'll take sketch notes of the conversation so you can experience the tool in action. From there, you can decide if you'd like to proceed. With a deposit we'll hold the date and get to work. We interact with you to learn more about the event -- its desired outcomes and format. We work with key people involved, such as a planning group or traditional facilitator. And, we research images so that we're ready to go the day of the event. The day of the event, we'll set up about an hour before the segment to be graphically recorded. 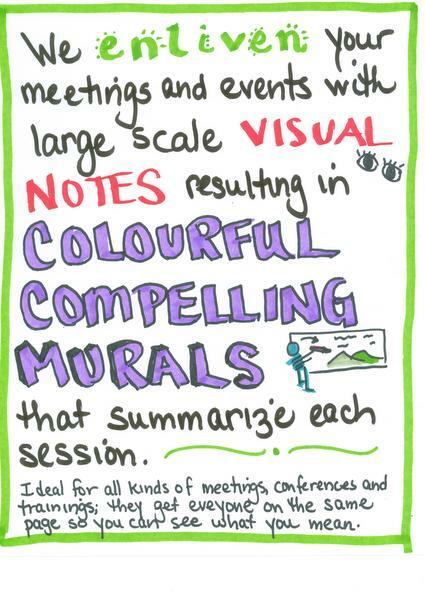 As you wish, we can speak to the mural, ask for involvement from participants, or stay in the background. At the end of the event, we'll photograph the mural and roll it up for you to use later. 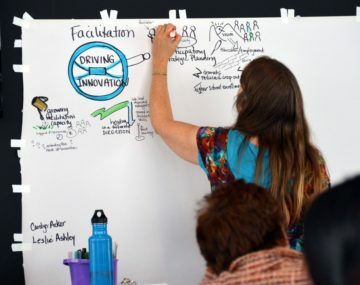 Charlotte provides visual thinking processes to support strong, effective organizations and to catalyze comprehensive solutions to complex challenges, with an emphasis on meetings and events that promote sustainability, wellness and social justice.